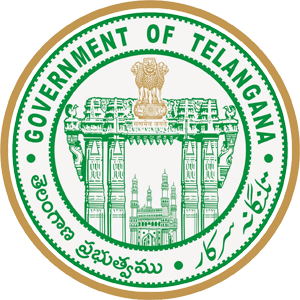 Andhra Pradesh Government released an AP ICET 2019 Notification, exam dates. Andhra Pradesh Integrated Common Entrance Test (AP ICET 2019) is a state level entrance exam. In the state of AP. This exam is conducted by Andhra University on the behalf of APSCHE, Hyderabad. AP ICET Exam Conducted to get admission to various universities and its affiliated colleges will be offered through AP ICET. Through this exam, candidates can get admission into MBA & MCA course. Here we Provide a Detailed information of AP ICET 2018 such as Notification, exam dates, application form, eligibility, syllabus, Previous Papers etc. Andhra Pradesh Integrated Common Entrance Test – AP ICET is an Entrance test for candidates to get admission in MBA MCA etc. In many states of India, it is a pre-requisite for candidates to qualify the Entrance test in order to join for the admissions in Andhra Pradesh Universities/Colleges. The online application fee is Rs. 250-/. 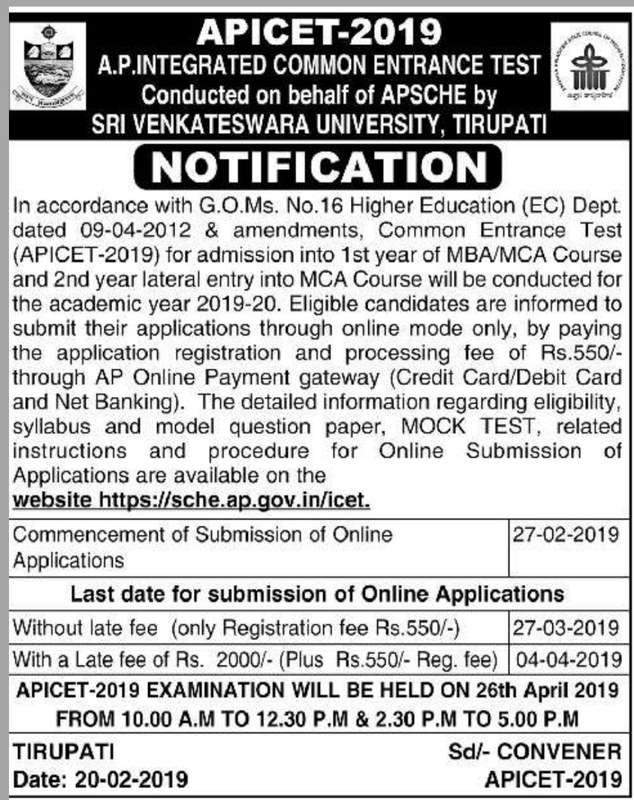 Eligible and Interested Candidates Go through the Official Website of APECET then Apply Online Before Final Date. Mode of Exam: Exam will be conducted in offline mode (pen paper mode). Total Marks: The whole question paper will be of 200 marks. No. of Questions: There are total 200 questions. Duration of Exam: Candidates will be provided 150 minutes to solve the question paper. The AP ECET exams syllabus contains the topics and subjects comprised of section A which includes Analytical Ability, Data Sufficiency and Problem Solving. Section B contains the Mathematical Ability, Arithmetical Ability, Algebraically and Geometrical Ability and Statistical Ability. Section C is prepared to assess the candidate’s communication ability, Business and Computer Terminology, Functional Grammar and Reading Comprehension. AP ICET Hall Ticket can be accessed from the official website. It will be issued in the last week of April 2018. Candidates are required to bring one photo ID proof along with Admit Card to enter the examination centre.